Tucked away in SE21 and a stone’s throw away from the bustling Brixton, Dulwich Village is the ideal place to escape the hustle and bustle of London. 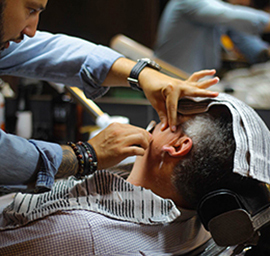 Dulwich Village is home to Porters Barbers flagship barbershop which opened its doors in 2010. Formally know as The Groom Room before its renovations in June 2016. 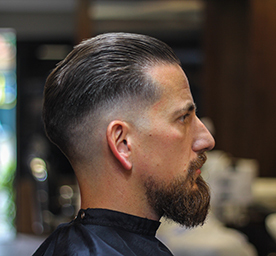 It’s now joined forces with the Clapham Abbeville Road branch to bring a fresh, dynamic attitude and service to the barbering industry. 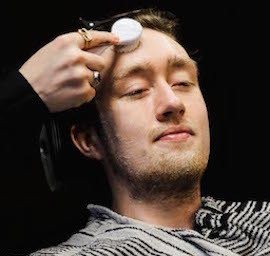 The team have been trained to the highest of standards and pride themselves on great customer service and the ability to service all hair and beard types. 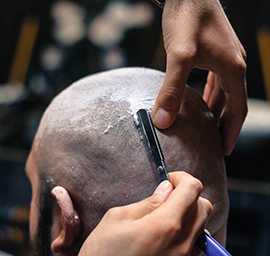 Boasting seven stations, a gentleman retail heaven, a secret garden and a specialist barista bar there is a lot to enjoy whilst waiting for a treatment with one of the master barbers, or even just to visit and have a great cup of coffee. 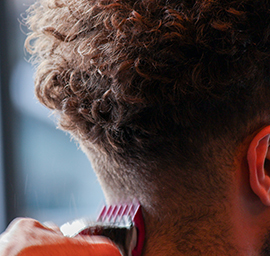 Pre cut consultation, wash and condition, scalp massage, cut, finish and style. 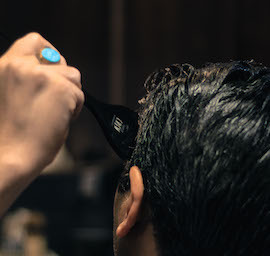 A hot towel application, lather and shave. 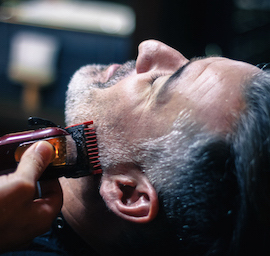 Pre shave consultation, hot and cold towels, with steam, cut throat razor shave, head, shoulder and neck message, moisturising balm. 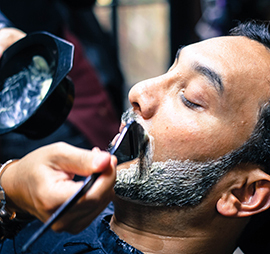 Consultation, defining beard lines with blade, trimming and styling, plus advice on beard maintenance at home. Consultation followed by cleanse, steam, hot towel, mask, cold towel and toner, finished off with a moisturiser. Grey coverage - Consultation followed by Cleanse, Colour and Finish. We now also do full Bleaching & Tints in our Clapham Branch. If you fancy a change be sure to check it out! Consultation followed by cleanse, colour and finish. 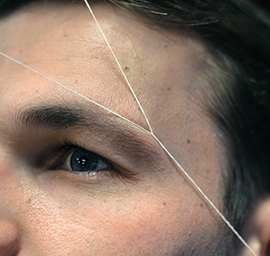 Remove any stray hairs and tidy eyebrows for a natural look. Please call in to check availability. 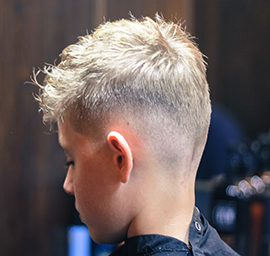 Pre cut consultation, finish and style.  Porters Barbers & Barista is a collaboration between a top-notch gentleman’s grooming room and the finest, most accomplished brews you can ask for.  Based south of the river in the heart of Dulwich Village we are intent on providing high quality cuts and skilfully crafted coffees; with the use of Union’s organic hand-roasted beans, which we alter seasonally from a variety of origins. We use the best equipment a barista could ask for, allowing for a variety of expert brew methods. It’s a coffee-snob world and we’ve upped the game – are you playing?